The Hudson canine land treadmills, AirPaws100 and AirPaws200, are designed to give canines an additional workout option for training, conditioning, and rehabilitation. 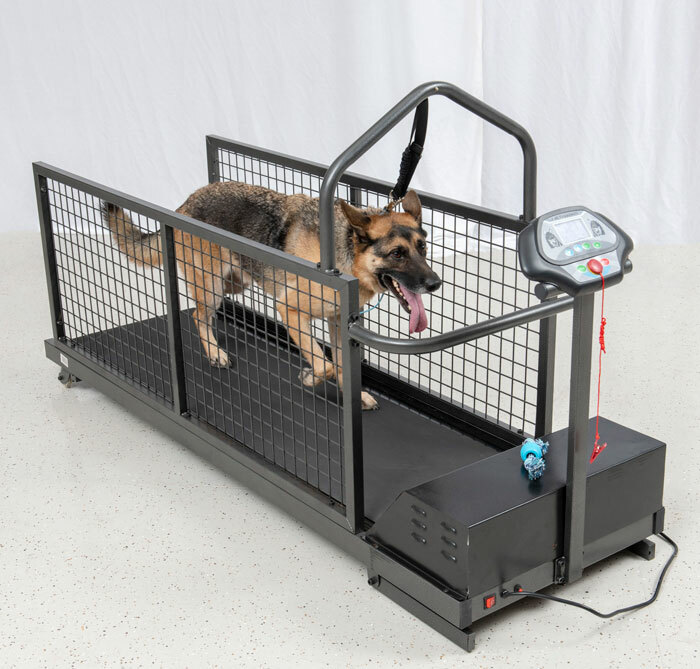 Utilizing a land treadmill allows you to control a dog’s pace and movement, while at the same time, providing consistency that keeps him alert and helps him concentrate. These units are especially successful for military and training canines, show and competition dogs, as well as dogs with behavior issues that require extra exercise in their routine. Hudson offers two size units, AirPaws100 and AirPaws200 to meet your space requirements. The AirPaws200 includes an incline for more advanced and rigorous workouts. Both units come with a digital control panel to track time, speed and distance. AirPaws 100 = 220 lbs. AirPaws 200 = 242 lbs.